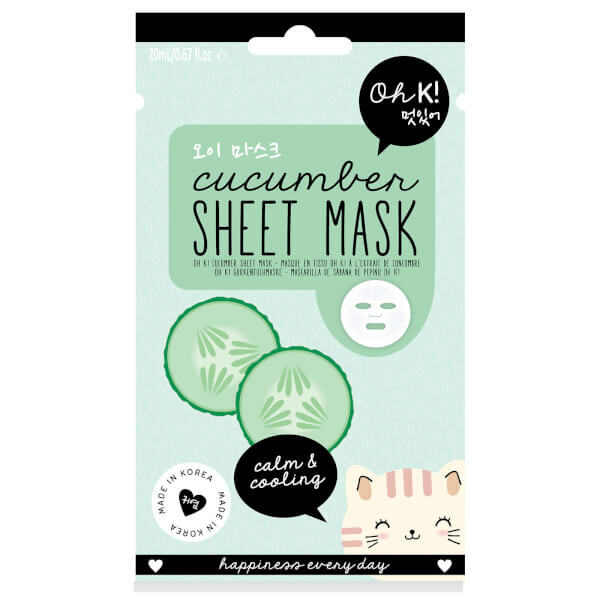 The Cucumber sheet mask from Oh K! will nourish and cool your skin. Made in Korea from innovative active ingredients to hydrate and sooth tired skin, you will be left feeling fresh and energised. Sheet masks are extremely effective as the fibre sheet acts as a barrier and stops the product evaporating, allowing the skin to absorb three times more than a traditional liquid mask.